Etihad Airways has called a review of its global media planning and buying account. The Abu Dhabi-based airline is consolidating its media business, with the new brief to cover not only Etihad but also its partner airlines, including Alitalia, Airberlin and Air Serbia. 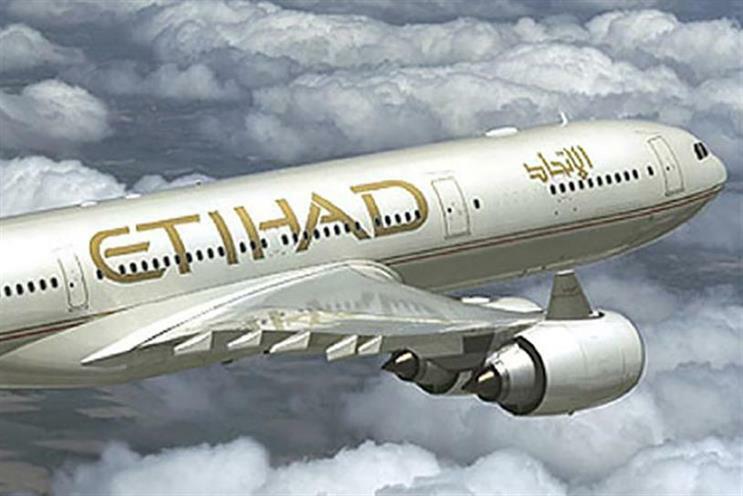 Shane O’Hare, the senior vice president of marketing at Etihad Airways, said: "We have put a tender out for the media planning and buying for the major Etihad Airways Partner airlines. Major global media agency groups are involved. "The appointment of a world class global media planning partner is expected to be announced by the end of May." MediaCom, which is participating in the review, is the incumbent on the account. It has held the business since January 2012, when DigitasLBi was also handed part of the airline’s business. WPP agency MediaCom currently handles above-the-line media planning and buying for Etihad only, while DigitasLBi takes care of digital media strategy, search and affiliate marketing. DigitasLBi is unaffected by the review. The previous incumbent on the media buying account was OMD, which held the business from 2005 until 2012. The airline’s creative account is held by M&C Saatchi, which is also unaffected by the review. Etihad bought 49 per cent of loss-making Italian airline Alitalia in August last year, giving the UAE’s flag carrier access to Europe’s fourth-largest travel market and 25 million passengers. The purchase was part of Etihad’s strategy to build on organic growth rates via targeted investments. This story was first published on Campaign Middle East.